SKU: Basic English. Categories: Shop All ThinLine Products, English Saddle Pads, English Half Pads, Hunter Jumper Tack, Dressage Equipment, ThinLine Basic Saddle Pads, Pony Size Tack. Tags: basic saddle pad, Best Saddle Pad, english saddle pad, gel saddle pad, shock absorbing saddle pad, ThinLine Contour Pad, Thinline half pad, ThinLine Plus half pad, ultra thinline pad. 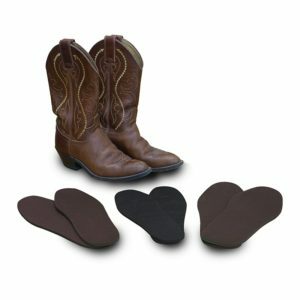 English Basic Saddle Pads are Pure ThinLine performance foam. Designed to be used over your daily pad and under your saddle. ThinLine (3/16″) Contour pad available with trim at the withers. You have a well fitting saddle that does not require shimming. Maintenance– Basic performance foam saddle pads require no care or washing. Half Pads offer a discrete amount of protection directly under your saddle. Contour pads add protection under the stirrup bar and will help control left to right saddle slip. ThinLine absorbs impact by moving it laterally along the pad. Unless the price is a serious barrier, we suggest you choose the contour English horse saddle pad; the more ThinLine foam you have, the better it works. ThinLine+Plus (1/4″) is thicker and designed for beginning riders, horses in high impact situations, or horses with sore backs. ThinLine+Plus is endorsed by Veterinarians, even for severe back problems such as kissing spine. It is the #1 choice of Equine Chiropractors and Massage Therapists. All shimmable performance foam saddle pads come with ThinLine sewn on the top. But, you can create the ThinLine+Plus thickness simply by adding a Booster Shim. The top choice for many great riders. Kent Farrington rides every horse, every day in a ThinLine+Plus Contour pad, and has done so for more than a decade. Riding over a lifetime can take its toll on a rider’s spine. ThinLine can drastically reduce the aches and pains that come from time in the saddle by moving shock, weight, and heat laterally along the pad without compressing. Horses backs also benefit from the 95% shock absorption and from having a quieter ride in the saddle. 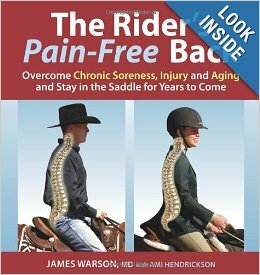 ThinLine is the only saddle pad endorsed by Spinal Surgeons – See “The Riders Pain-Free Back” by Dr. James Warson. Half Pad Sizes: Pony, Horse, and Extra Long. Ultra ThinLine half pads are available with cotton binding. Contour Pad Sizes: Regular, Large. See below for dimensions or select product size. Q I have the Thinline+ Contour pad, which I used on top of my English saddle pad. My saddle pad is contoured to follow the withers, but my pad is not. I am sure I read somewhere to not pull the pad up into the gullet of the saddle, so I tried to just make sure the pad followed the contour of my cotton pad. I had a bit of a problem getting it to stay in place. Any suggestions? I am just about ready to put the Thinline pad on my horse first, lol. FYI, it's a Fjord. A All ThinLine pads offer the back protection and ventilation that you'll need for endurance riding. So it's really just a matter of finding a pad shape that works best with your saddle. We make four pads specifically for endurance. There are two round skirt pads. one is all cotton (7304-S) and the other is lined sheepskin (3334-S). We also make two with a modified square skirt, one in felt (7336) and one in cotton. The cotton pad is designed for drop rigging and has extra ThinLine underneath where your rigging would sit. The drop rigging pad is available in all cotton (8801) or with synthetic sheepskin( 8802). Feel free to search the item numbers on the website to see all of the options. If you have any questions, or if we can be of further help, please call the office at 888-401-9101. Q Is it possible to shim the basic pads? A Thank you for your question! Our Basic pads are formed of a single piece of ThinLine Plus or Ultra ThinLine material and are not shimmable. All other ThinLine pads, besides the Basics, are shimmable. They are made with Ultra ThinLine panels sewn along the spine of the pad, creating a pocket for adding shims. Q Is there any availability of the ThinLinePlus half pad in white, rather than black? A Thanks for your question! The ThinLinePlus Basic half pad is only available in black.